Anselme Selosse’s wines are among the most coveted bottles in Champagne. In recent years, Selosse’s lieu-dit Champagnes have ascended into the realm of the nearly unobtainable because of their tiny production. Two of the lieux-dits are sold only as part of the 300 or so boxed sets that are released each year, which makes tasting all six Champagnes together virtually impossible. 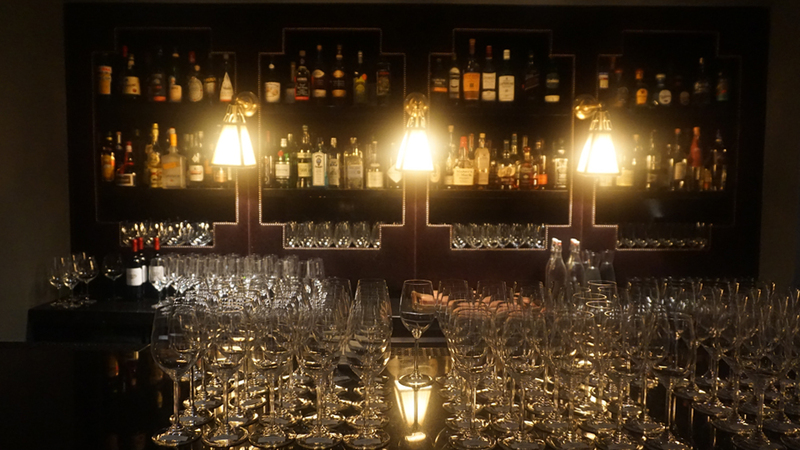 This unforgettable dinner featured the entire collection of lieux-dits, along with a number of Selosse classics. NoMad’s Rooftop is one of my favorite spaces in New York City. The small inside room is ideal for intimate dinners such as this one where everyone is seated at a single rectangular table. 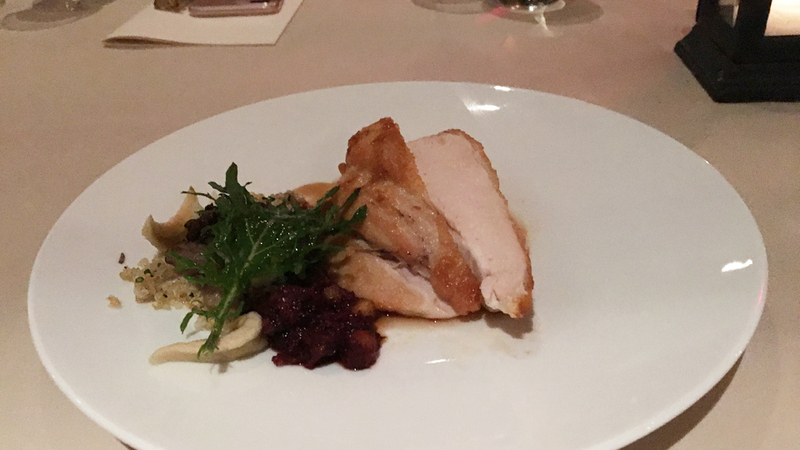 Executive Chef James Kent and his team prepared a brilliant seasonal meal to match the wines, while Head Sommelier Thomas Pastuszak made sure every detail of wine service was tended to perfectly. As is usually the case at Vinous events, many attendees travelled from afar to join us, which only added to the buzz in the room. 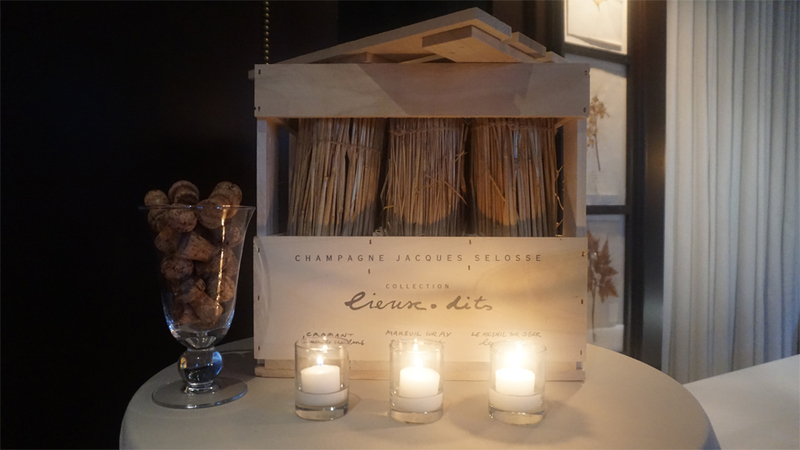 Although the lieux-dits were the centerpiece of the evening, all of the wines showed beautifully. The lieux-dits were from the collection based on the 2006 vintage, a year that produced powerful, explosive Champagnes. Given the short track records for most of these wines, I was not entirely sure what to expect now that the wines had been disgorged for a few years. I was thrilled to see that a little time in bottle has only helped the wines come together even more fully than when they were released. If anything, I was impressed by how young the wines showed. Because interest in grower Champagne is so strong today, it is sometimes easy to forget that Anselme Selosse has represented the cutting edge in the region for several decades. Selosse pioneered concepts that today are considered standard by many young producers, including sustainable farming, attention to yields, harvesting at full ripeness and minimal handling in the cellar. Along the way, Selosse has inspired and/or mentored many of today’s leading younger producers. More recently, Selosse has begun to pass the torch onto his son, Guillaume, who seems very much prepared to take the family domaine into the next generation. Selosse’s lieu-dit, or single-parcel, Champagnes are an expression of a belief that site is the single most important variable in wine quality. In the mid-1990s, Anselme Selosse began putting this theory to test with Contraste, a 100% Blanc de Noirs from La Côte Faron in Aÿ done with a perpetual reserve method in which the base vintage is blended with a reserve that includes all previous vintages. 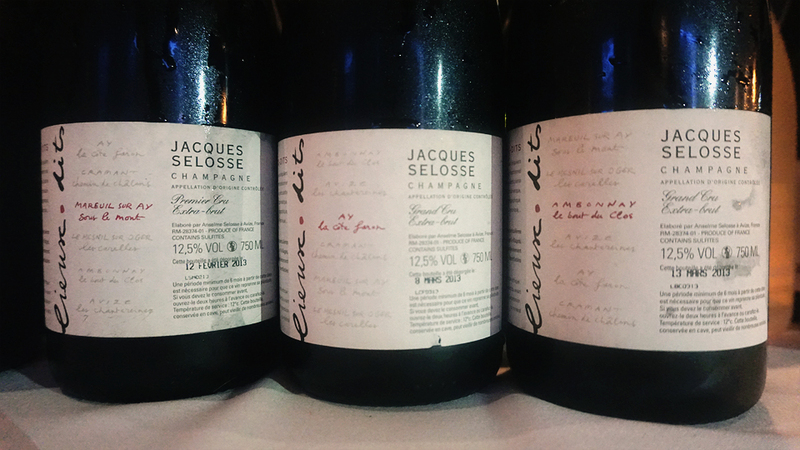 In the mid 2000s, Selosse expanded that concept to six lieu-dit Champagnes that are available together only in a limited-edition release of about 300 boxed sets. The lieux-dits collection is composed of three Chardonnays (Cramant Chemin de Chalons, Les Mesnil Sur Oger Les Carelles and Avize Les Chantereines) and three Pinot Noirs (Mareuil sur Aÿ Sous Le Mont, Aÿ La Côte Faron and Ambonnay La Bout du Clos, which is in reality a 80% Pinot/20% Chardonnay blend). A few of the lieux-dits, those with the larger productions, are sometimes seen singly in the market, but the Cramant and Avize are available only in the box set. Selosse’s parcel in Chantereines measures just 80 ares (8/10ths of a hectare). The best barrel is bottled for the lieu-dit collection. Similarly, Chemin de Chalon measures just 35 ares (3.5/10ths of a hectare) of which a single barrel is used for the lieu-dit wine. 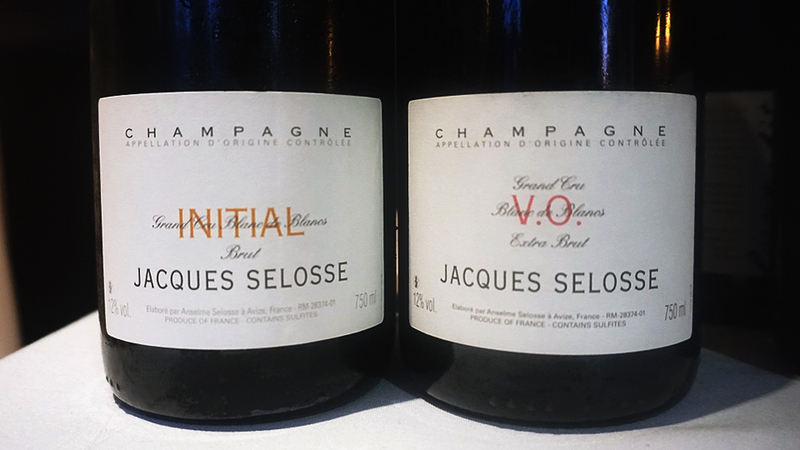 Other than the vintage Champagne, all of the wines in the Selosse range are blends done with one of three different approaches. Perpetual Reserve – For the lieux-dits, the wine from the most recent vintage is racked from barrel into tank just before bottling. The perpetual reserve, which is a blend of all previous vintages aging in cask, is added to the young wine and allowed to blend for a few hours. The cask is then refilled with the blend, and the wine that remains in tank is what is bottled as that year’s release. Solera-Style – Substance, one of the Selosse flagships, is aged in cask as a solera-style blend that is refreshed each year with wine from the new vintage. The Substance that will be bottled this year, in 2017, is a solera-style blend of vintages 2015 back to 1986. Selosse will take 22% out of each cask (approximately 8,000 bottles) for this year’s edition, and replace that juice with the young 2016 wines that are aging in 225-liter barriques. This means that the Substance that is being bottled in 2017 is 22% 2015 and 78% the solera-style blend back to 1986. Component Aging – Initial and V.O. (Version Originale) are both blends of three consecutive vintages. Vineyards on the plains inform Initial, while hillside parcels are the core of V.O. Component wines are aged separately by parcel and vintage, and the blends are done just prior to bottling. So, in 2017, the 2016 wines in barrique are blended with the 2015s and 2014s in cask just prior to bottling to create Initial and V.O. cuvées. The wines then age for several years before being disgorged and sold. Vineyards on the lower slopes that are used for Initial are also the base for the Rosé and the Demi-Sec Exquise. Selosse’s NV Extra Brut Rosé is especially gracious and light on its feet in this release, with a real sense of weightlessness that makes it an excellent choice to get the evening started. An unusually warm fall New York City night gives guest the opportunity to explore NoMad's outdoor deck before dinner gets started. The Extra Brut Initial and Extra Brut V.O. 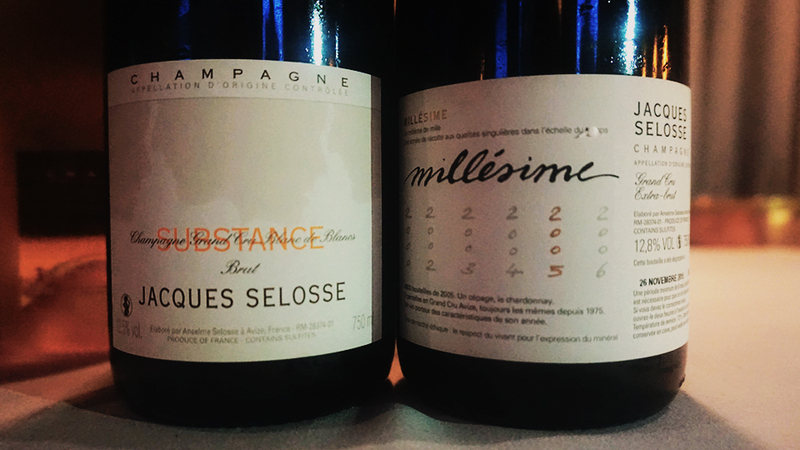 are especially fun to taste side by side now that Selosse is releasing both wines with the same mix of vintages, a departure from years past when V.O. was always a year behind. Bright citrus, floral and mineral notes abound in the NV Extra Brut Initial. This release is based on the 2009, 2008 and 2007 vintages. As always, Initial emerges from flatter parcels in Avize, Cramant and Oger. The NV Extra Brut V.O. (Version Originale), taken from hillside parcels in Avize, Cramant and Oger, possesses striking aromatic presence allied to a rich, creamy expression of pure Chardonnay fruit. Beautifully textured and nuanced, the V.O. is superb on this night. What a wine! 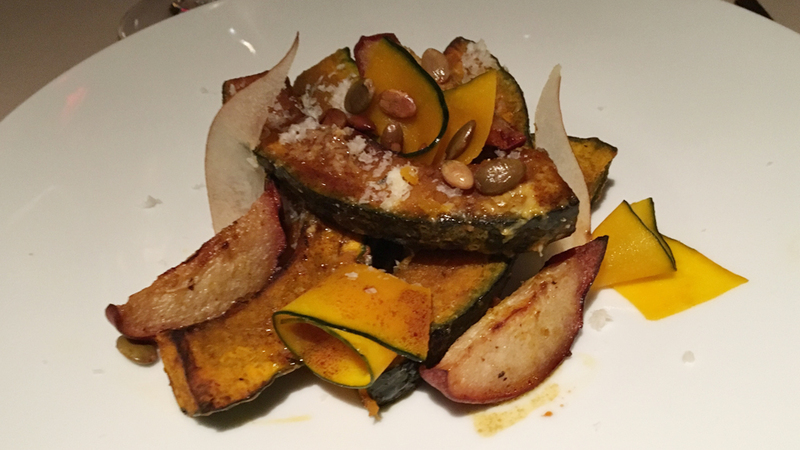 Kabocha Squash with Roasted Pears and Pumpkin Seeds is a delicious early fall dish that accompanies the wines beautifully. This flight of Chardonnays from Cramant, Mesnil and Avize is magnificent. All three wines are on form, and every bit as captivating as I remember them. The NV (2006) Extra Brut Cramant Chemin de Chalons is a rich, deep Champagne endowed with serious depth and intensity. A host of yellow stone and orchard fruit, smoke, tar and licorice notes develop in a creamy, super-expressive Champagne that hits all the right notes. This release is a blend of 2006, 2005 and 2004 vintages. Another absolutely stunning wine, the NV (2006) Extra Brut Le Mesnil sur Oger Les Carelles is a model of power and explosive energy. A touch of reduction adds aromatic complexity, but it is the wine’s textural presence that stands out most. This release spans vintages 2003 through 2006. Smoke, slate, crushed rocks and graphite give the NV (2006) Extra Brut Avize Les Chantereines its distinctive aromatic signatures. The Chantereines deftly manages power and focus. On this night, it is superb. The vintages are 2006, 2005 and 2004. The Poularde with Quinoa, Morceilla and Apples is very nicely done. Bright, transparent flavors provide a striking canvas for the wines to be at their most expressive. Pinot Noir is the theme of the third flight. All three wines are exquisite in their beauty and also show how versatile Champagne can be at the dinner table. 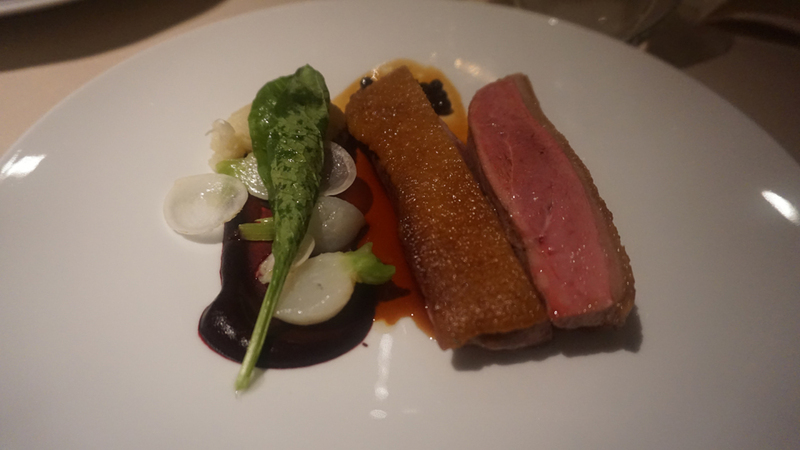 Chef Kent’s Roasted Duck with Huckleberries and White Turnip is a terrific pairing for these rich, vinous Champagnes. The NV (2006) Extra Brut Mareuil sur Aÿ Sous Le Mont has softened considerably since it was a young wine. Some of the dry notes that were present when the Sous Le Mont was first released have receded. Today, the Sous Le Mont is understated, gracious and absolutely exquisite in the glass. The aromatics are especially inviting tonight. In this release, Sous Le Mont is a blend of vintages 2006, 2005 and 2004. The NV (2006) Extra Brut Aÿ La Côte Faron, formerly known as Contraste, is once again one of the most impressive wines in the range. It is also the wine that served as the template for what today are the six lieu-dit wines. As such, the Côte Faron includes wines going back to 1994, which is one of the reasons it is so complex. Powerful, dense and creamy, La Côte Faron offers superb richness and palate presence from start to finish. All the elements are simply in the right place. On this evening, the Côte Faron is a total turn-on. A Champagne of incredible polish and sophistication, the NV (2006) Extra Brut Ambonnay Le Bout du Clos is creamy, layered and totally voluptuous. This is pure sensuality in a glass. In this release, the Bout du Clos is a blend of vintages 2006, 2005 and 2004. The level of intensity moves into another realm with the NV Extra Brut Substance, Selosse’s solera-style Blanc de Blancs that includes wines back to 1986. Creamy and expansive on the palate, with notable vinous intensity, the Substance captures so many of the qualities that make Anselme Selosse’s Champagnes so compelling. The 2005 Extra Brut Grand Cru Millésime is once again remarkable for its purity and overall depth. It is without question one of the best wines in what was a very challenging year in Champagne. These last two Champagnes are a perfect conclusion to a fabulous evening of wine, food, and most important, conversation, something that the world’s greatest bottles always seem to inspire.